On 14 Nov 2016 an earthquake registering 7.8 on the Richter scale shook Wellington awake. 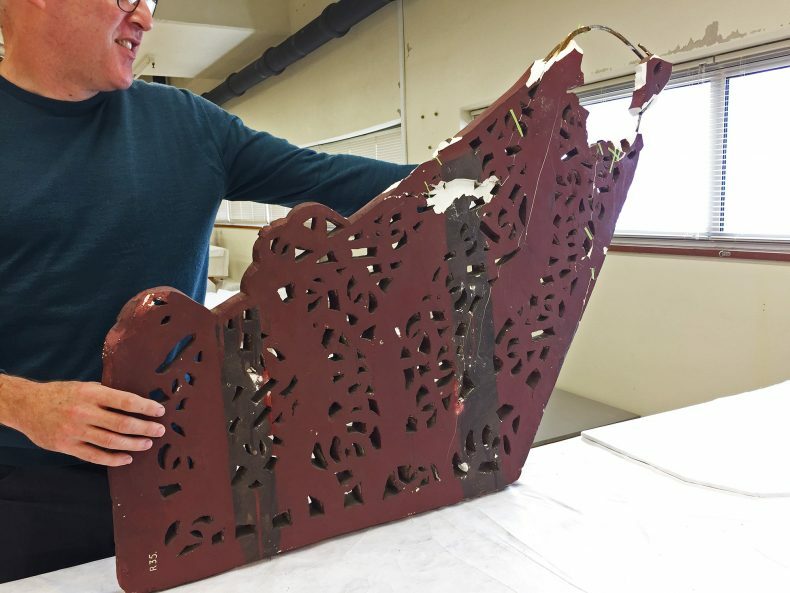 All-in-all Te Papa’s buildings and its collection were virtually unscathed. Out of over two million collection objects, only nine were damaged. 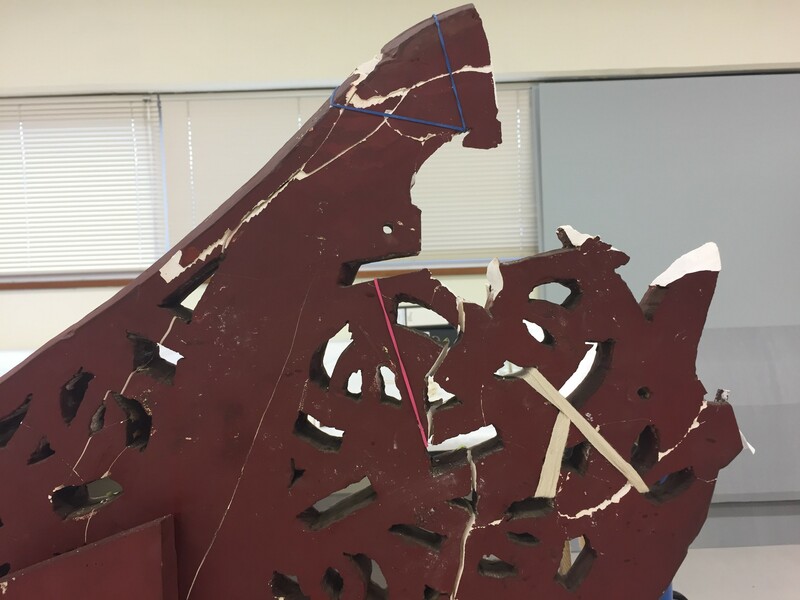 One of the damaged objects was a plaster cast replica of an 18th century tauihu (canoe prow). 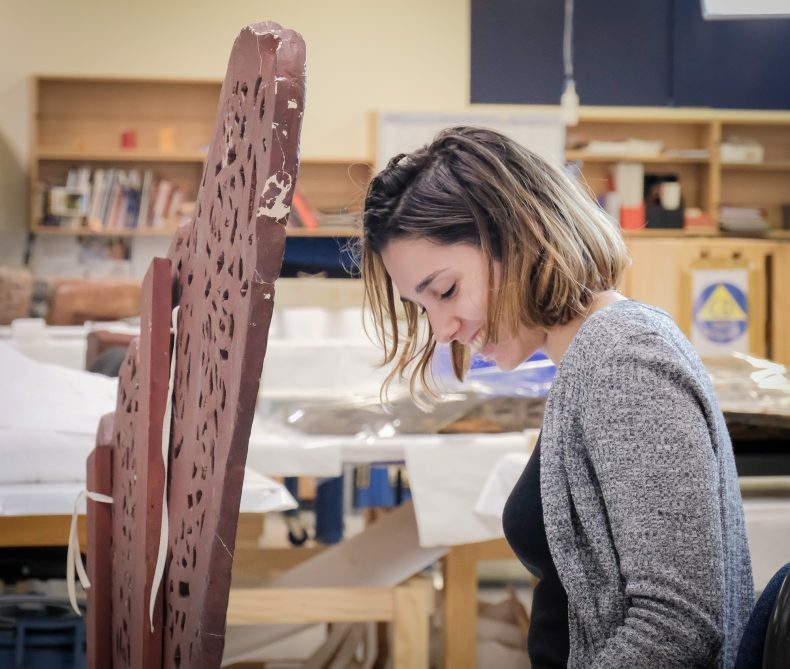 Charlotte Jimenez, an intern from the Institut National du Patrimoine in Paris, has spent the last three months putting more than 250 pieces of the plaster tauihu back together. Here she explains the intricate process. This plaster cast replica of a tauihu (canoe prow) was sent to New Zealand in 1909. Based on style, we believe that the original was produced in north Auckland’s Hokianga district in the 18th century. 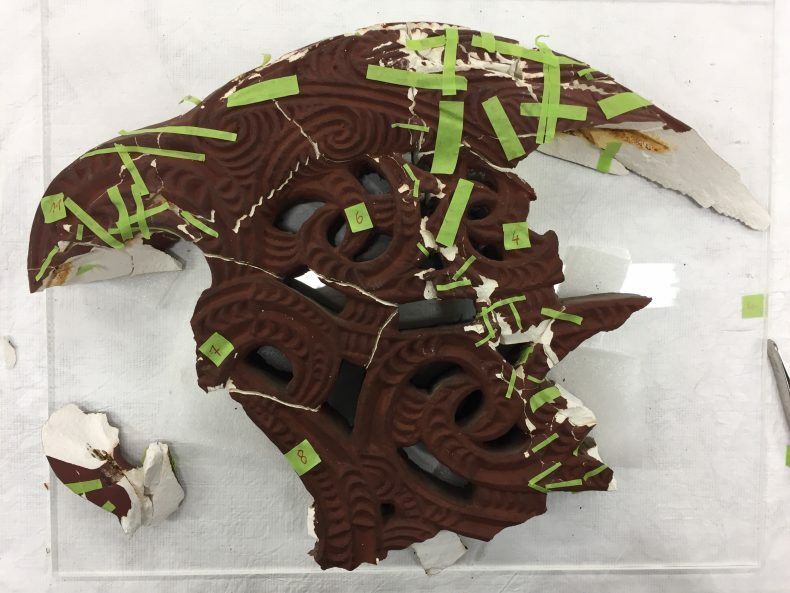 Although the plaster cast is a replica, the story behind the piece makes it a taonga itself, and an important part of Te Papa’s history. Between 1903 and 1913, Augustus Hamilton, director of the New Zealand Dominion Museum asked for several plaster casts of taonga Māori preserved at the British Museum, and the tauihu was one of them. 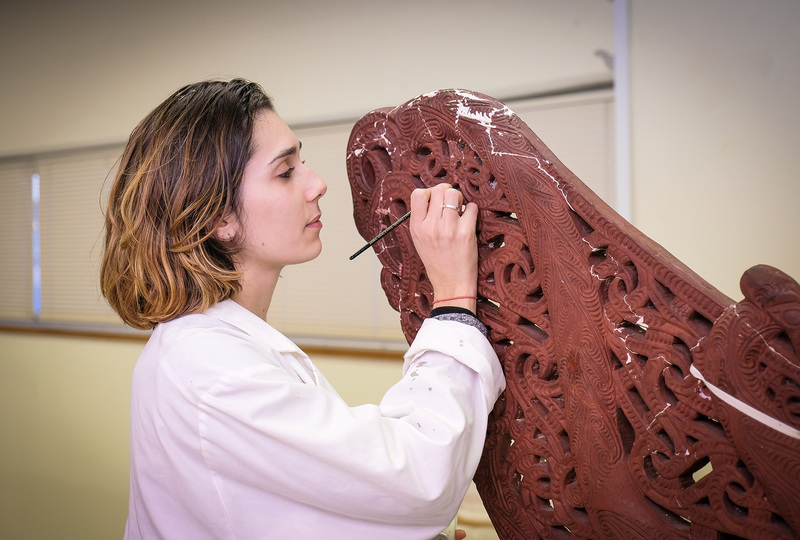 The cast therefore represents one of the first real attempts from New Zealand to repatriate taonga from Europe back to Aotearoa. 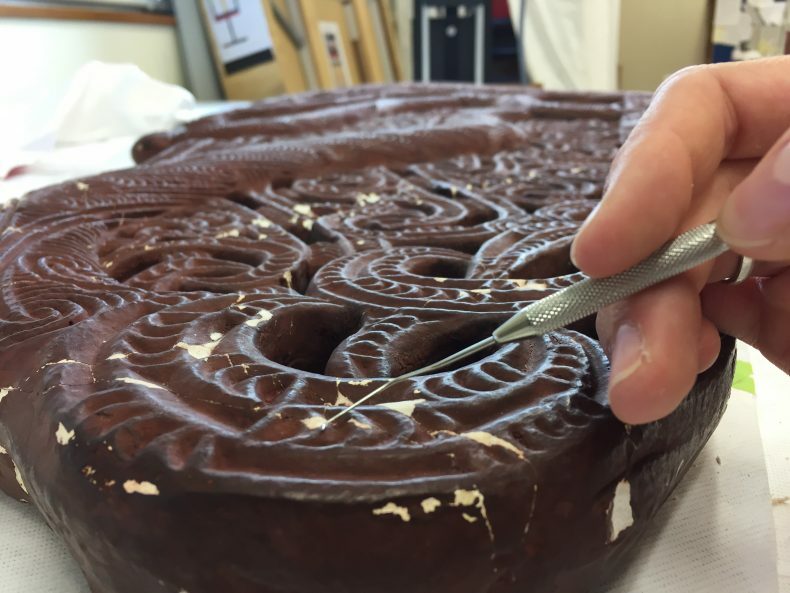 Working on this project was particularly interesting for me because of the link I felt between 19th century European collecting and exchange, and how Māori communities have worked to ‘repatriate’ the taonga from this time. This project was a big technical challenge for me. It required much consideration before starting the treatment. I’d already pieced together a few works but not at this scale. 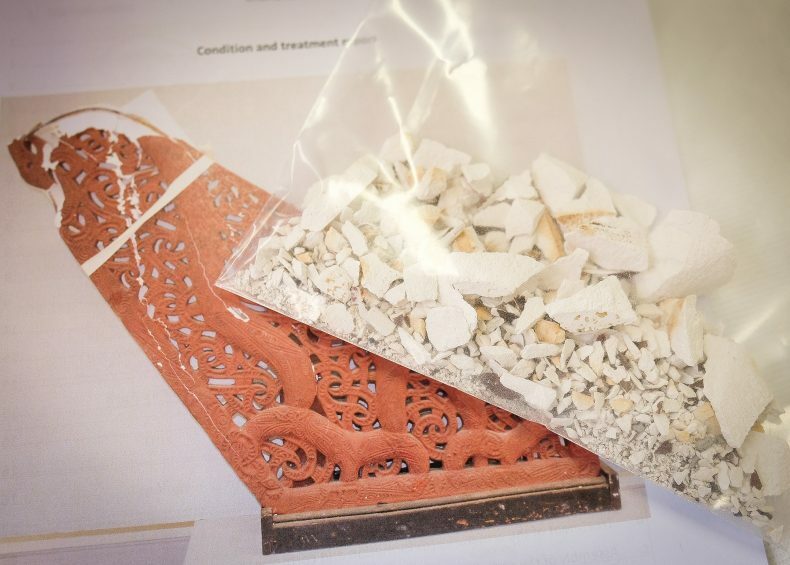 I knew it was going to be a long, fiddly process, and I was confident that we could stabilise the plaster cast by putting the pieces back together. But I was worried about it shifting and whether I would be able to correct the distortion and bring the tauihu back to its original shape. But mainly I was just excited to get started. First I took the plaster cast off the wooden support. The wooden support was hiding some damaged parts which we wanted to have full access to. Taking the support off also made it easier to find the shape of the relief, using the back as a reference plan to put back together the pieces. 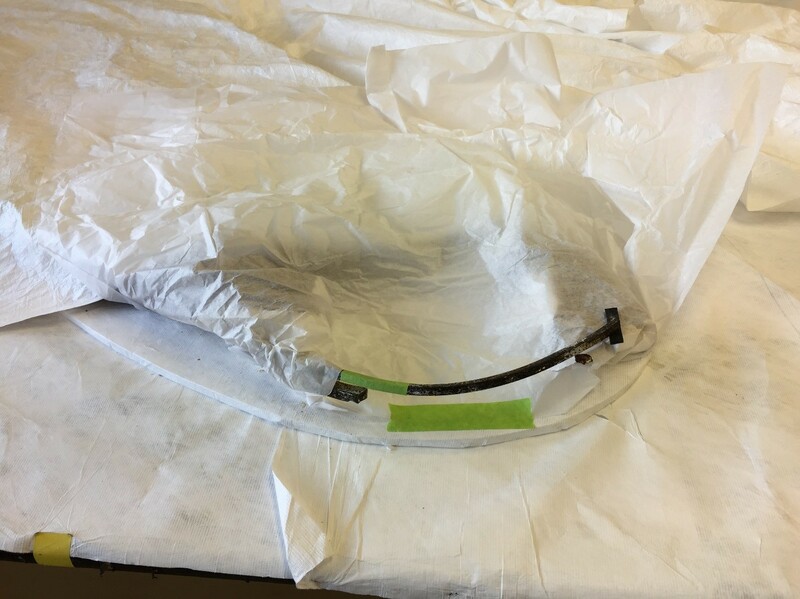 I then had to remove the bent metal supports from the inside of the plaster cast. The metal armatures were so deformed they would have made the assembly of the pieces almost impossible. As the plaster is so light these supports were not actually needed to maintain the structure of the cast. Next was the assembly of the pieces. Before gluing we do a ‘blank assembly’ which means assembling without permanent glue. In this case we used tape. Filling and retouching is the last phase in the long journey! 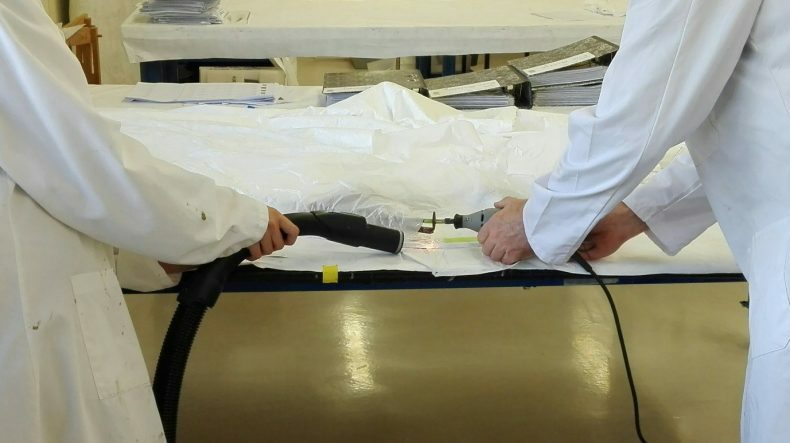 It’s always a great experience to enable an art work to be ‘usable’ again by undertaking remedial conservation treatments. I am really pleased to have spent six months working at Te Papa. 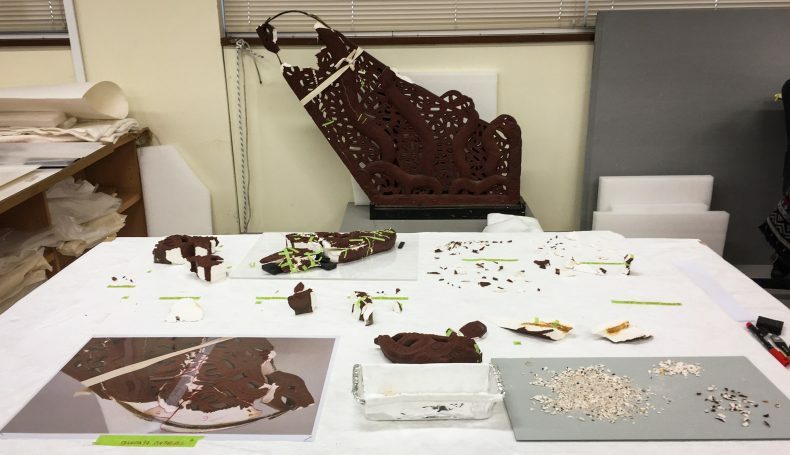 It’s been a unique opportunity for me to discover Māori taonga in their original context and to understand how people manage the collections: the handling/transport, the loans, the treatments, the relationships with the iwi. My love for Pacific objects began during my first internship at the Musée du Quai Branly – Jacques Chirac in Paris. However, in France and more generally in Europe, ethnographic objects are viewed in a limited and particular way because they are seen out of context – whereas in New Zealand Aotearoa, objects and their history are enriched by the proximity to their living culture. In New Zealand, Māori objects have the status of a treasure, ‘a taonga’, which is charged with spirituality and life. As a result, storage, handling, and conservation are influenced by this status. It’s this that I wanted to be exposed to, and why my experience in Oceania has been a great opportunity to begin my professional specialisation in the study and conservation of composite works within European ethnographic collections. 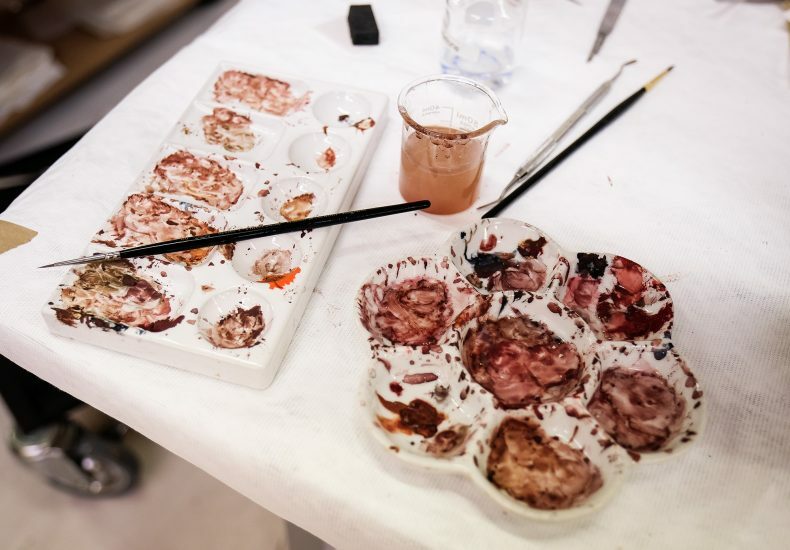 Nous sommes admiratifs devant le travail “d’une telle artiste” qui, de surcroît, fait partie de nos relations…. Bravo et Bonne continuation, Charlotte ! Congratulations on your wonderful and important restoration done with such exquisite care and attention, and thank you for the interesting way that you wrote about it.